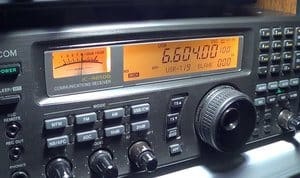 In radio communications, SSB or Single Side Band modulation is a type of modulation used to transmit information like audio signals through radio waves. As a form of refined amplified modulation, SSB uses transmitter bandwidth and power more efficiently. Amplitude modulation creates an output signal with twice the bandwidth of original baseband signals. Single Sideband modulation circumvents power wasted on carriers and bandwidth doubling; however, this makes the device more complex and tuning more difficult. Radio transmitters basically work by mixing up the carrier wave, which is radio frequency (RF) signals of a specific frequency, with the signals that are to be broadcast. This results in a set of frequencies with very strong peak signals at the carrier’s frequency, and much smaller signals from the carrier’s frequency plus the signal’s maximum frequency, and the carrier’s frequency minus the signal’s maximum frequency. What does that mean? It means that the resulting signal’s spectrum has twice the bandwidth as the original input signal. In conventional AM radios, the signal is sent to the RF amplifier before it is sent to the broadcast antenna. Considering the nature of this amplification process, the quality of the resultant signal can be defined by the differences between the minimum and maximum signal energy. The maximum signal energy will often be the carrier itself, probably two times more powerful than the mixed signals. Single Sideband capitalizes on the original signal considering that it is encoded in either one of the sidebands. There’s no need to transmit the entire mixed signal, a receiver should be able to extract the signal from either side of the sideband making the amplifier more efficient. The transmitter could opt to send only the lower or upper sideband, the signal portion below or above the carrier. By doing this, the amp is left to work with just one half of the bandwidth, which is much easier to manage and arrange. As the carrier is suppressed before reaching the amplifier, it could amplify the signal to a much higher energy and won’t waste energy amplifying the signal, the carrier, which can be recreated by the receiver. Considering the signal as quadrature and in-phase components, traditional AM places signals equally in both components, while SSB places signals in one component while introducing phase dependence. 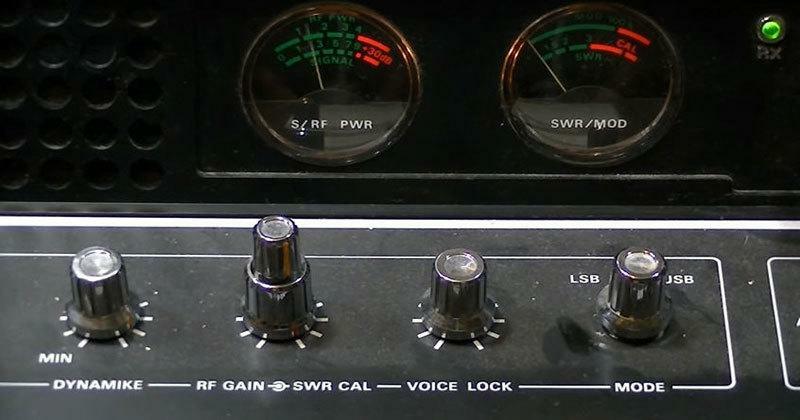 Because of this, SSB transmissions use the energy made available by the amplifier more proficiently, hence providing more transmission for longer at little to no extra cost. Receivers will often choose one of the available sidebands to amplify on reception instead of simply choosing either one in the design stage. Single Side Band Suppressed Carrier: Single SideBand Suppressed Carrier is the most widely used form of Single Sideband for communications applications on the high-frequency portion of the radio spectrum. There’s just one sideband, the carrier and the other sideband are both removed. As such, the carrier has to be reinserted in the receiver. The slightest differences in reinsertion will lead to changes in audio pitch. However, SSBSC gives the most power usage and efficient spectrum of any SSB modulation format. Single Side Band Reduced Carrier: Single SideBand Reduced Carrier, is a form of SSB modulation with one of the sidebands and a bit of carrier removed. As the carrier is much smaller, it can be used to lock an oscillator for sideband demodulation to the correct pitch and carrier re-insertion. Single Side Band Full Carrier: Single Side Band Full Carrier is a type of SSB modulation normally used in receivers but may not allow you to re-insert a carrier; however, you can demodulate it using a diode detector. But since it has one sideband, it only occupies half the bandwidth. The power efficiency of this SSB is very poor as the full carrier is required, but there’s only sideband available to carry modulation. Single Side Band Vestigial Carrier: Single Side Band Vestigial Carrier is a type of SSB modulation where only one sideband is available and the other only partially suppressed or cut off. This SSB is often used in analog AM TV transmissions and is often used to lower the overall bandwidth whilst keeping a single sideband with lower frequency information. Independent Side Band: Independent Side Band is a type of SSB isn’t strictly a ‘single’ sideband as it has two. However, each of these sidebands carries different modulations, providing a doubling in spectrum efficiency. These SSB modulation formats can be found being radiated through various radio spectrum portions of their applications. Single Sideband is the main modulation used for analog voice transmissions for two-way radio communication on the high-frequency portion of the radio spectrum. The efficiency of SSB in terms of power and spectrum compared to other mode options means that Single Side Band modulation has been the most effective transmission option to use for many years. While there are new forms of digital voice transmission being used, it is still highly unlikely that SSB will be ousted as the main band format any time soon. We've create a buyer's guide that will tell you everything you need to know to buy the best CB radio. 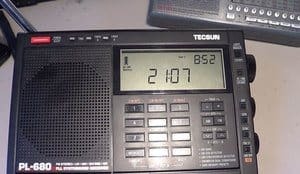 Shortwave vs Longwave Radio – What Is The Difference? Do People Still Use CB Radios?